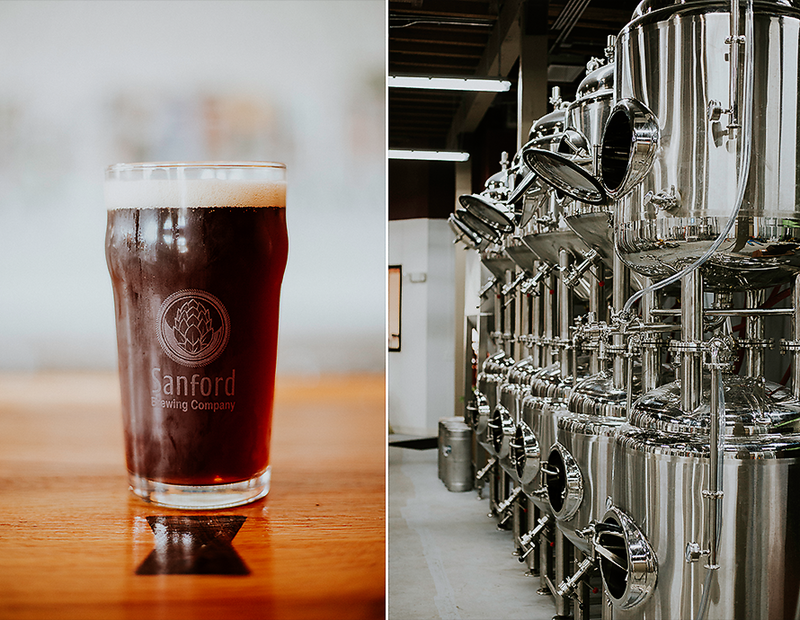 Drive down Sanford Avenue and you’re likely to notice the large crowd that gathers quite frequently at Sanford Brewing Company. You’d never know that a little over 80 years ago this exact spot was the neighborhood’s local discount grocery store or that it took weeks of experimenting to get the plaster and tar off the walls. 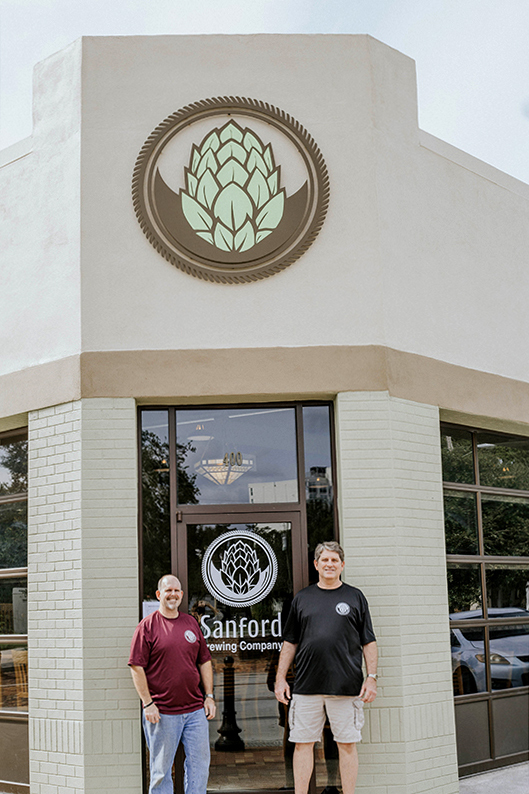 But here they are and we hope you are just as excited as we are to welcome Sanford Brewing Company to our beloved Downtown Sanford. 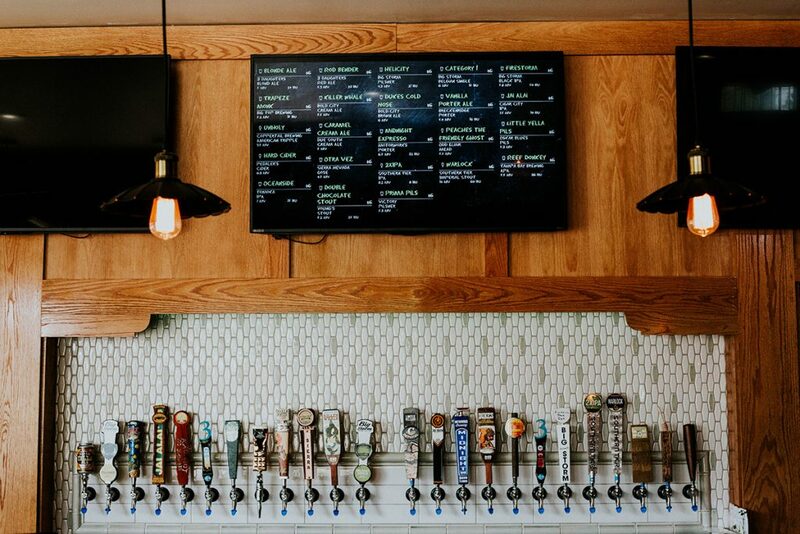 Sanford Brewing Company (SBC) offers a variety of local & about a dozen of their own beers; thanks to the beautiful in house brewery that can be seen while you dine. 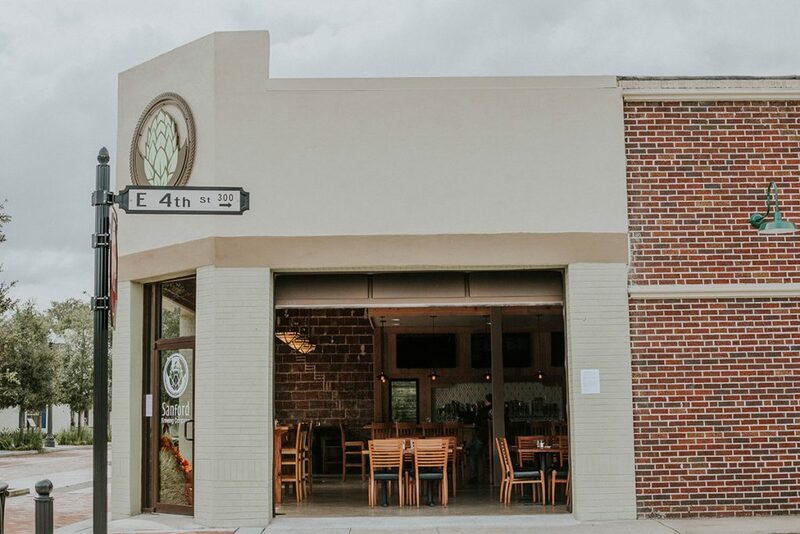 But it’s not just the beer that’s drawing the crowds, it’s the beautiful and well restored building which includes huge garage doors that fully open and allow you to enjoy the streets of downtown, their delicious menu and let’s not forget, their House-Made SODAS! Umm, can you say yum! Not much of a beer drinker myself I was handed a Strawberry-Basil Garden Delight SODA and was instantly tickled by the perfect balance of the sweet strawberries and fragrant basil, it hit the spot on such an unseasonably hot Florida day. Thank you Kathe (partner Allan Jackson’s wife) for creating these delicious SODAS! After feeling refreshed from my tasty drink partners Robyn Esser, Allan Jackson & Bo Hallowes (Christopher Esser also is a partner at Sanford Brewing Company, but was not present for this interview) decided to take me on a tour of the 18 barrel brew house, which is immaculate and well thought out. I’ll leave most of the details up to the pros because these people know their stuff and because it’s way above my beer knowledge. 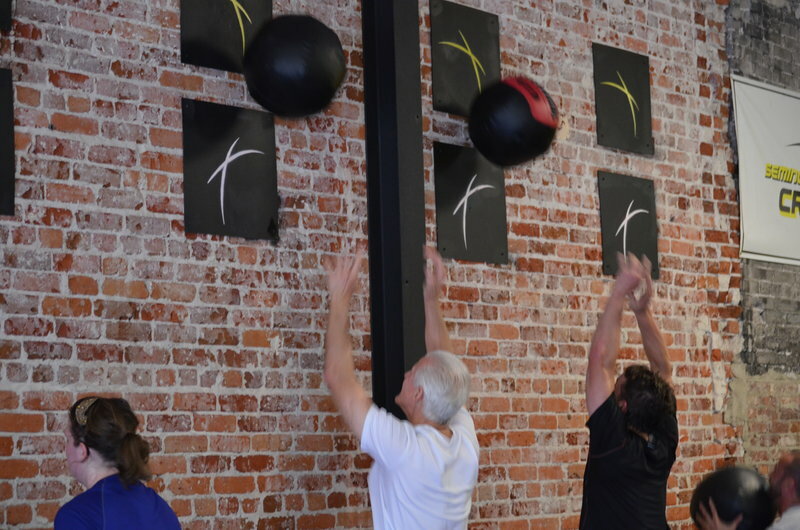 You’ll want to hear it straight from them not only because of their knowledge, but also because it’s wonderful to watch someone talk so passionately about what they do, so be sure to set up a tour. 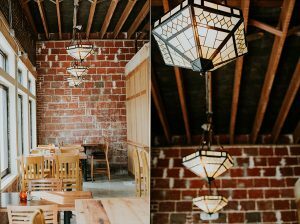 I will however share one of my favorite tidbits of information and that is that the whole Sanford Brewing Company building is ran on very low energy: it’s extremely energy efficient with its well insulated walls and all LED lighting to name just a few things. Sanford Brewing Company even sends their used grain back to local farms, so that farmers may use it to feed their pigs and hopes of working with other local farmers for trade! Love it!! Sanford Brewing Company takes pride in their brewery for many reasons, but a few in particular seemed to stick out. 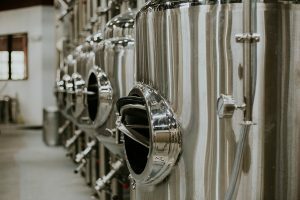 For starters the brewing is done technically and will allow the beers to be re-made the same again and again offering consistency. And thanks to a wonderful man by the name of Steve O’ Brien from Filtration Direct the brew house has one heck of a filtration system as neutral water was a must for the SBC crew. 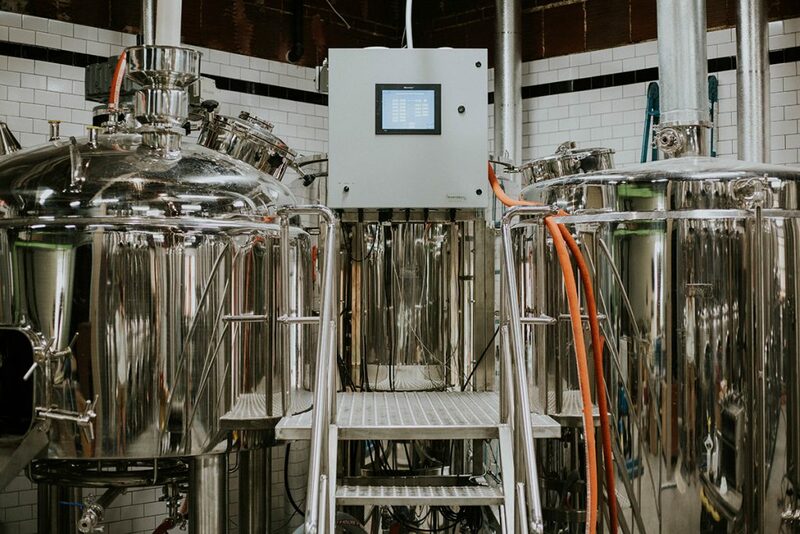 Neutral water allows the brewers to add minerals back into the water, giving them the ability to emulate other water profiles in the beer, such as German. The in-house made beer comes from the brewery and will make up about half of the offerings that will be available from the 24 taps that line the back of the bar wall. 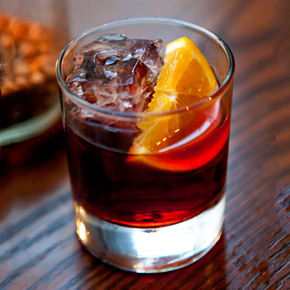 The taps also offer local Florida beer, cider, mead and hand crafted sodas and host guest taps regularly. The in house beers can not only be sipped from special glassware, but also complement the menu and are included in several of the menu items. 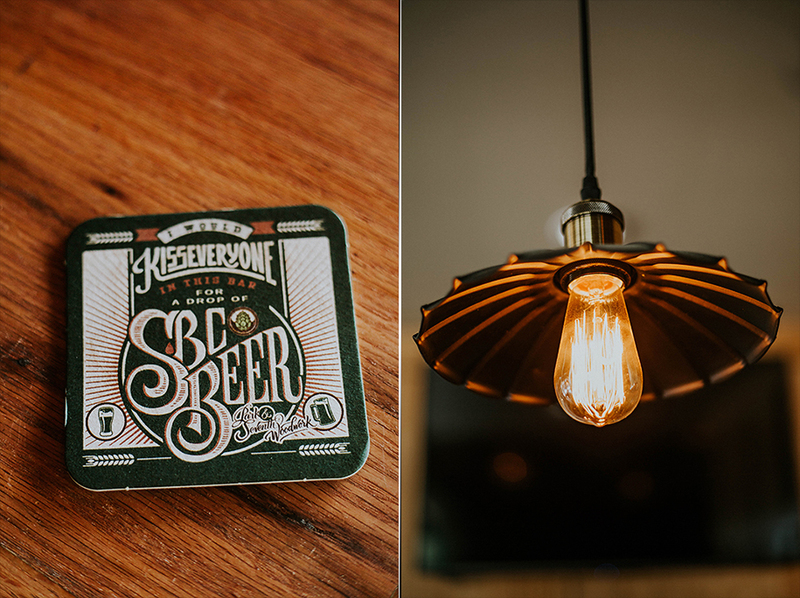 “Our hope is for the beer to inspire the kitchen and for the kitchen to inspire the brewery” -Robyn Esser. 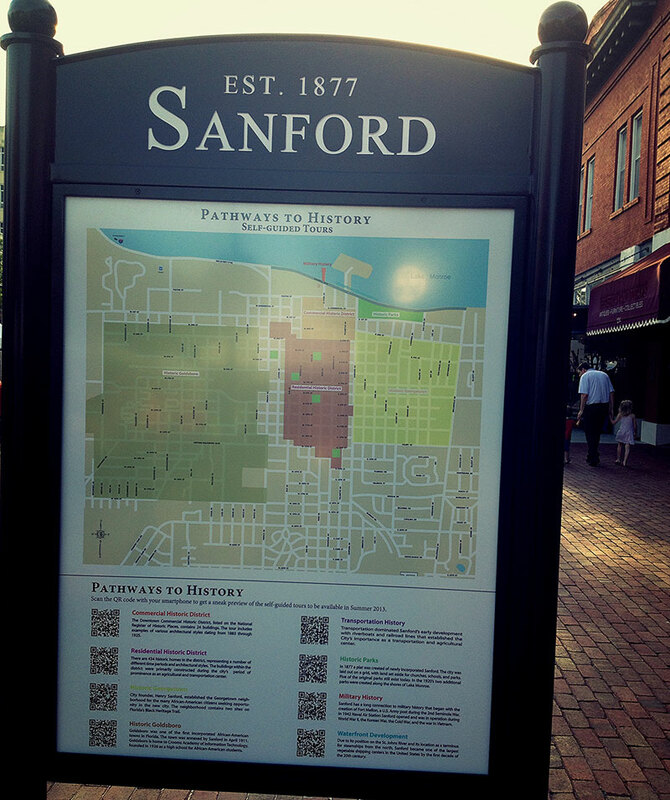 City of Sanford; specifically-Bob Turk; (City of Sanford Redevelopment Director) for his support and direction. Russell Gibson (City of Sanford, Planning and Development) & CRA; (Community Redevelopment Agency) for the Development Grant. Park & 7th; Woodworking and design. 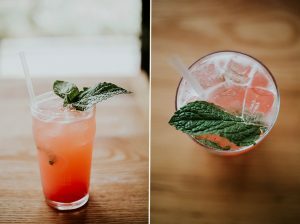 Amanda Nall created the beautifully created coasters and Michael Nall crafted all the gorgeous woodwork in the tap room including the reclaimed wood bar and high tops. Thank you to all who have made Sanford Brewing Company a dream come true. Be sure to follow Sanford Brewing Company on Facebook for all their upcoming events and specials! 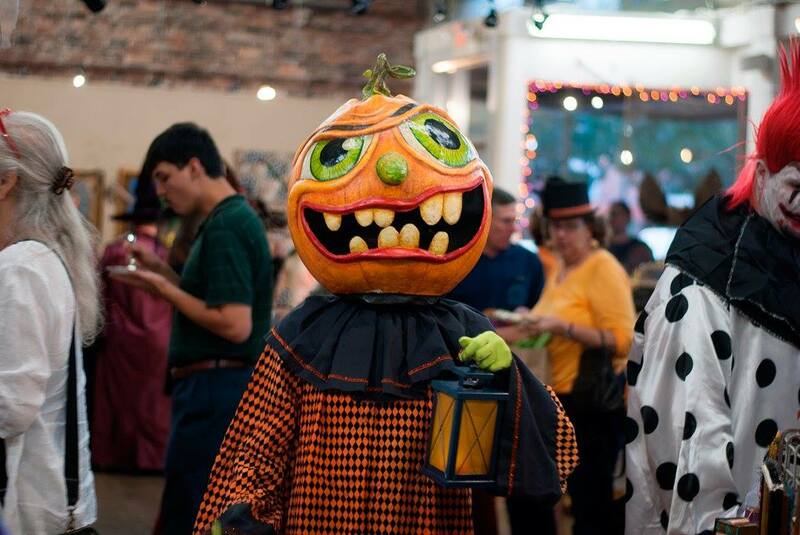 PreviousEvents and Things to do in Sanford, this weekend!